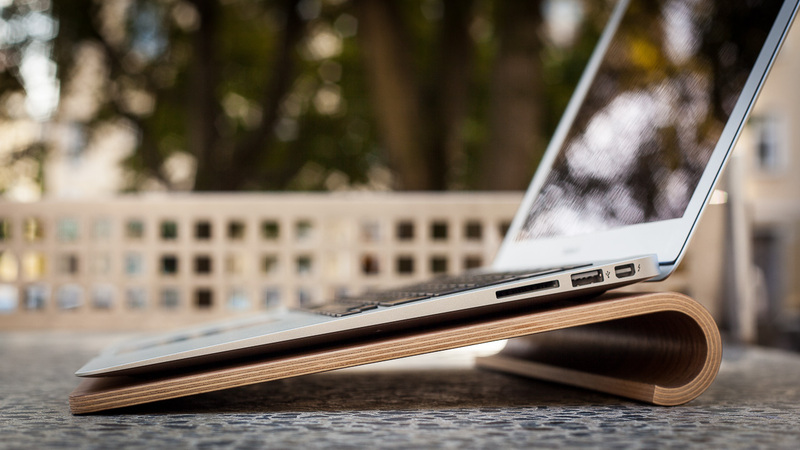 The best MacBook stand in wood! 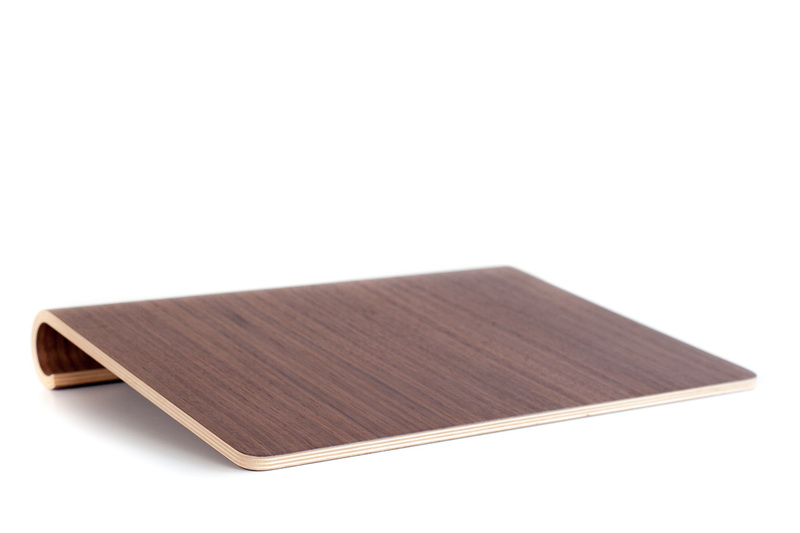 So why do we argue this is the best MacBook stand in wood? Fist of all it will not only look very smart but will also improve you comport wether working on a desk, in the train or in a chair. It’s also meant to fit in your computer bag to give extra protection. Additional it is produced in sustainably forested wood and contain no harmful chemicals – so who can beat that? Using the stand while writing or creating graphics the stand will give solid support and enabling good air flow preventing your MacBook to over heat. It will also raise the display and angle the keyboard to prevent pain in your neck, shoulders and wrists. The design is very simple but it very complex in the making. But with the aim to make the best MacBook stand out there we have decided to go the extra miles and create a stand in moulded wood from sustainable forested wood. 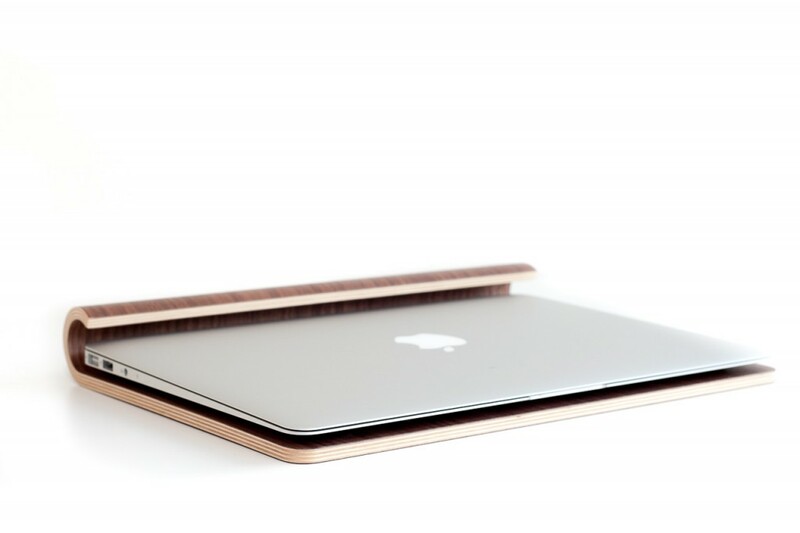 The MacBook stand is created from an inner core of layers of birch wood with outer layers of either oak or walnut. The process involve a mould, heat and pressure and everything have to be perfect each time to create a perfect stand in wood. Wood is a great source for production of sustainable products. Wood gives a very natural feel and add a touch of nature to your work space. Wood is an organic material giving it unique features and a rustic feeling. 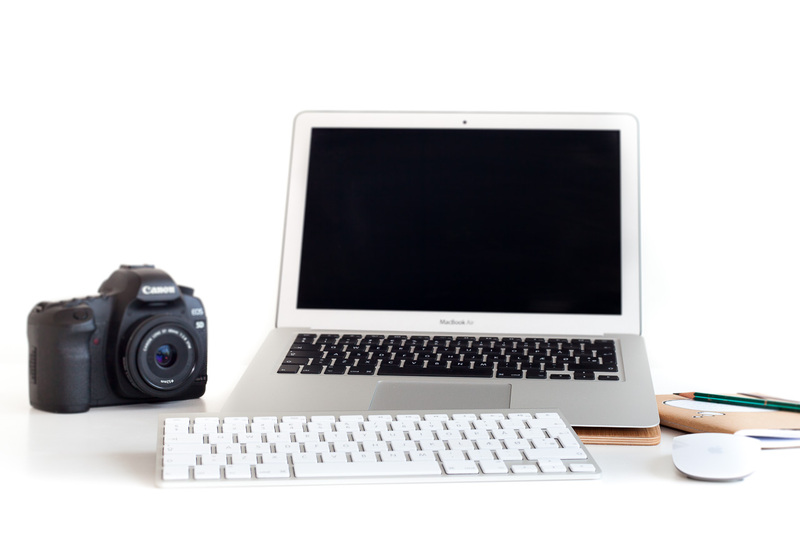 We are both working as designers and photographers and carry the MacBook stand everywhere we go. The stand look great on the table at clients, helps keep the MacBook cold while doing presentations and protect the MacBook when you are on the move. The design is very elegant and Scandinavian looking so it will not only help you and improve your ergonomics it will also improve you office and impress clients and coworkers. It even have a great history because it built with traditional danish craftsmanship for woodwork.